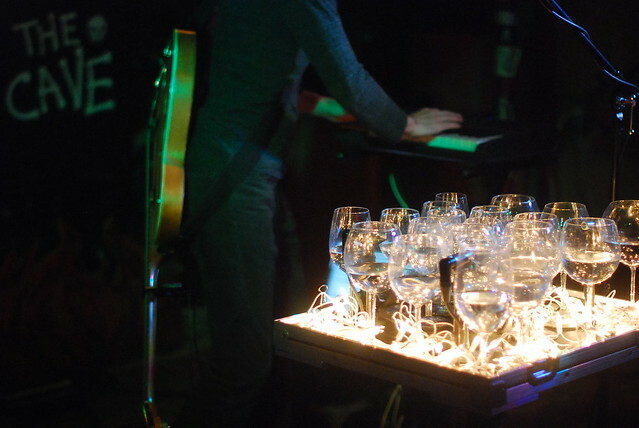 Jonny Rodgers plays wine glasses. He does more than that, of course — he loops his own ethereal voice over itself, electric guitar, keyboards, and programmed drum-and-basslines, combined with exquisitely simple and heart-rendingly personal songwriting about love, loss, and loneliness — but if that isn’t new, it isn’t old, either. 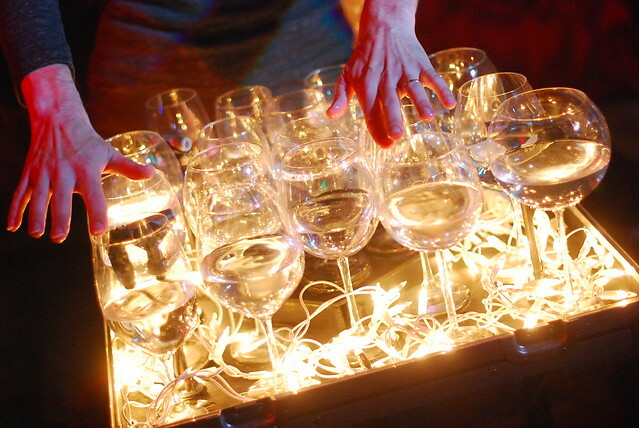 What is new is the 2×2 square box at the front of his stage setup, filled with wine glasses of all shapes and sizes, filled to different depths, that Rodgers adds to the chorus of loops, playing them deftly with both hands and merging the chiming, bell-like tones with the already hypnotic songs. It’s absolutely astonishing, and seriously some of the most beautiful, unreal music I’ve heard all year, in the best possible way. Seriously. Astonishing. Breath-taking and unreservedly beautiful. Download “Everything Is Yours”, and guess what, North Carolina? You can see Jonny Rodgers tonight at the Pour House. You should, because your mind won’t be blown by anything else this great this week. 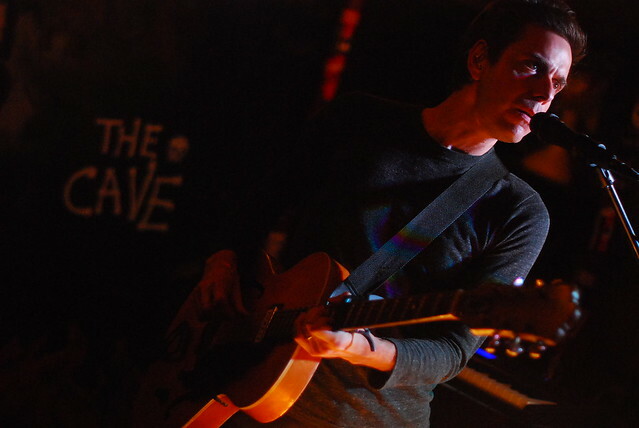 Full set from the Cave last night is here.